Rbocompressor of Schwitzer, Holset, Garrett, KKK, etc. 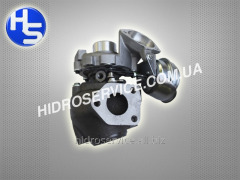 Sale of new turbocompressors for passenger and trucks, tractors and agricultural machinery. Pluses: original spare parts, exchange collection, running in and test stand operations, free shipping and diagnostics, quality assurance, discounts to regular customers. Sale of new turbocompressors for cars of all brands, tractors and agricultural machinery. Pluses: original spare parts, exchange collection, running in and test stand operations, free shipping and diagnostics, quality assurance, discounts to regular customers. Unbelievable price on Car engine spare parts in Melitopol (Ukraine) company Gidroservis-M, OOO. Wide choice of quality products at affordable prices.